The Chapter 3 Cover is here! Thank you all supporting Surfer Joe! Chapter 3 was a lot of fun to make and challenged my ever-growing storytelling skills. 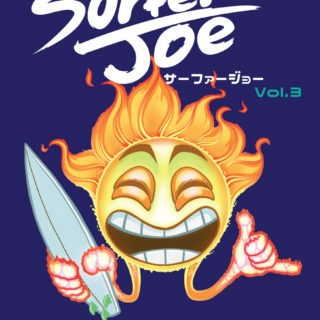 The cover image is based on the logo for Sonny's Surf Shack. I didn't care for the old one used in the pages of the comic, so I updated it to this new one during the week. The design is based on some drawing my daughter Serina was doing, depicting the character of Sonny as a smiling sun. I added the flaming hands and a surfboard, as well as giving the face a tiki mask feel. Overall, I'm pretty happy with the way it turned out. I'm currently writing the script for chapter 4. It should be finished up in 2-3 weeks, and production will start shortly after. It's gonna be packed with drama, so stay tuned! 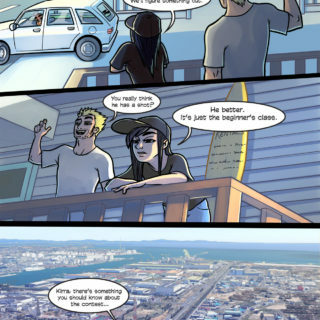 Please take a moment to vote for us on Topwebcomics.com! With enough votes, we can reach the front page of the site, which would help us spread the word. We are grateful for everyone's love and support and work hard every day to make a story the surfers of Sendai can be proud of.